Vahe Gregorian of The Kansas City Star won first place in the Associated Press Sports Editors 2017 contest in column writing for the Over 175,000 circulation category. Gregorian will be presented a first-place plaque at the 2018 APSE Summer Conference Banquet at the Nashville Marriott at Vanderbilt University on June 20. Gregorian edged runner-up Bill Plaschke from the Los Angeles Times. Dave Hyde from the South Florida Sun Sentinel placed third. Sports editors in the Over 175,000 category submitted 47 column entries. The contest is open to APSE members. Click here to join. 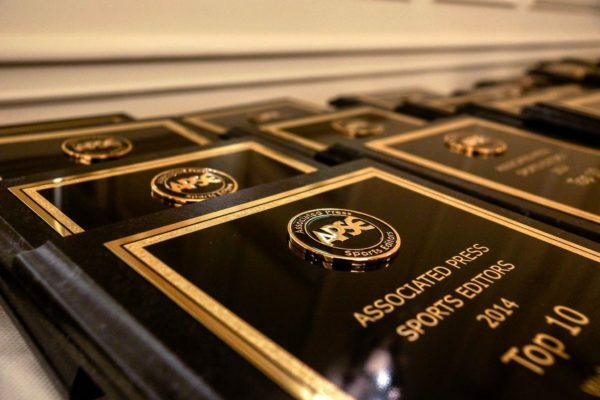 The winner in each category will receive a plaque at the 2018 APSE Summer Conference at the Nashville Marriott at Vanderbilt University on June 17-20. The second- through 10th-place writers will receive frameable certificates. The column writing category is judged based on style, writing quality, originality and local appeal. Entries were limited to 5 stories. The top 10 is listed below with links to writers’ Twitter pages, APSE member websites and winning entries. Anthem protests put NFL in a difficult spot. Good. Racist vandals didn’t demean LeBron James. They gave him a platform for dialogue.